Eileen is in her early 20s. She gave up college to come home and look after her dying mother. Once her mother was gone she stayed home to keep her drunk ex-cop father in check. It’s a responsibility she bears with exhaustion and invention. To stop him behaving recklessly she locks his shoes in the boot of her car. It keeps him inside for most of the winter at least. Eileen works at a correctional facility for young boys. Their crimes vary in severity, but each boy is treated with the same level of disgust and disrespect. Eileen is an administrator, her only contact with the boys when they are first admitted or during visits, usually with their tearful mothers. A self-obsessed, prudish girl hiding her starved body under her dead mother’s slightly too large clothes, Eileen is desperate to escape her father, her job, and herself. When the facility takes on a new woman to head up the boys’ education, Rebecca, Eileen is forced out of studied inactivity into a world of action. The way the narrator looks back and judges the person she once was, makes the story rich and playful. Time and interiority flex and shift at the narrator’s will, allowing the ebb and flow of exposition and consciousness to be explored to their best effect. Eileen herself would be hard to love without the wisdom and understanding of hindsight. Though we don’t know much about the life of the woman Eileen was to become, we know enough for that older voice to soften our impression of Eileen whilst at the same time giving us an excuse to step beyond a simple, moral reaction to the story. There is no changing what happened. We read of it and judge it in a space that steps outside of the normal boundaries of right and wrong. As you get to the end of the novel you wonder whether this is the confession Rebecca so eagerly seeks (you’ll find out) from one of the other characters. If you confess, offer up your truth, you go some way to absolving the actions of your past. 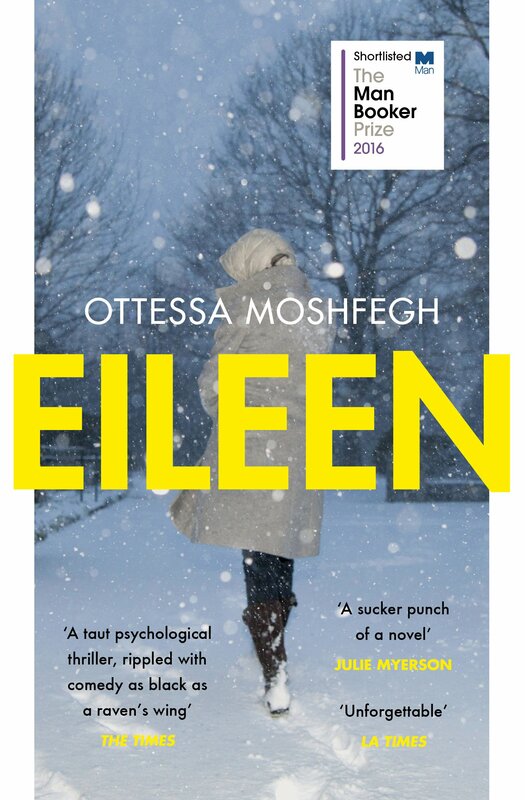 A real pleasure to immerse yourself in, Eileen is a novel that explores a young, troubled, female perspective. The idea of shame and a navigation of the body as a potential source of pleasure to the self and others become problems that Eileen has to unravel for herself and by extension, for the boys though it is only her older self who connects the two. Loneliness, a sense of being trapped in our lives by our own actions as well as our situation, forces an exploration of free will and choice. Are there any actions free from the taint of immorality? Eileen is certainly a book I would enjoy reading all over again. 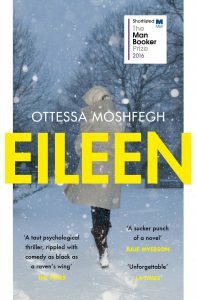 Despite the ease of the narrative voice, the clever manipulations of story and time that build an anticipation of what change Rebecca will affect in Eileen’s life, there is a density to the novel that invites further thought and interpretation. It’s a truly beautiful piece of work. Next week I’m reading Small Country by Gaël Faye.